My husband is the hardest person to get stocking stuffers for. I think all adults are difficult, but my husband especially. I mean, there are plenty of things he would enjoy, but most of them are big ticket items, not stocking stuffers. Thankfully though, my husband loves to travel and so I know I can win if I stuff his stocking with vacation friendly items. 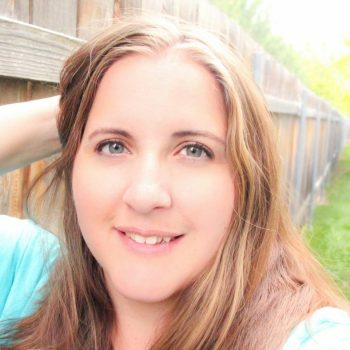 Today I am giving you a little peek into what stocking stuffers Santa will be leaving my husband this Christmas. Thankfully, he doesn’t read the blog very often, so the surprise won’t be spoiled. Click the image above to shop for my favorite stocking stuffer item – Poo~Pourri – at Bed, Bath and Beyond. All of the items in my husband’s stocking are travel related, but really could be given to any guy in your life. So what will my husband find in his stocking Christmas morning? When you are driving through the desert with no cell service, or waiting in an airport, puzzle books are a great time killer. It could be Sudoku or Cross Words or even word searches. 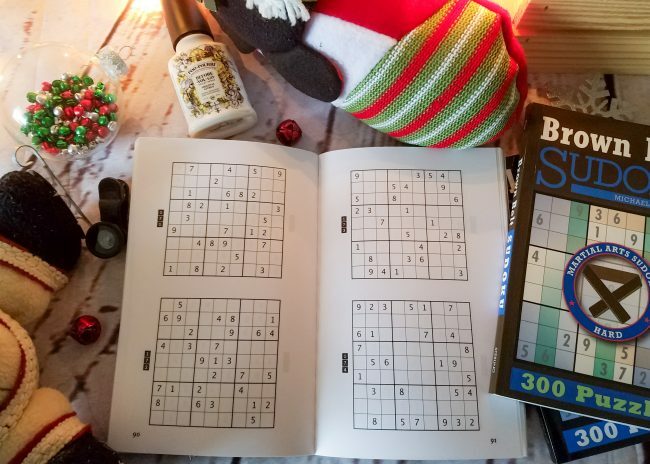 Puzzle books are also great for him to do at work during his breaks. He loves a good puzzle book and I love that these are usually very affordable. My husband has a (totally made up) issue we call ICP. What is ICP you may ask? Well, it stands for Inconvenient Poo. And talking with my friends it seems that many husbands seem to “suffer” from it. Basically, any time we need them to help with something, or we are in a hurry, or all stuck in a hotel room… he has to poo! When you are traveling that poo can really stink up your entire hotel room. You know it is true. That is why I knew Poo~Pourri was a must-have stocking stuffer for him. I picked his up at Bed Bath and Beyond. 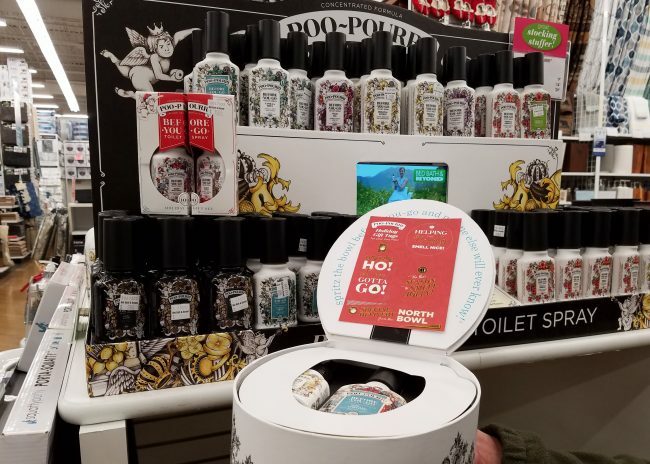 They had a really cool display of all the Poo~Pourri items, including the Holiday Pull-Apart Gift Set and a super fun Potty Box Gift Set. The Potty Box Gift Set was too big for a my husband’s stocking but the Pull-Apart Gift Set was perfect. In fact, I was able to break it apart and use one of them for a gift exchange gift. (And it was a VERY popular gift by the way. 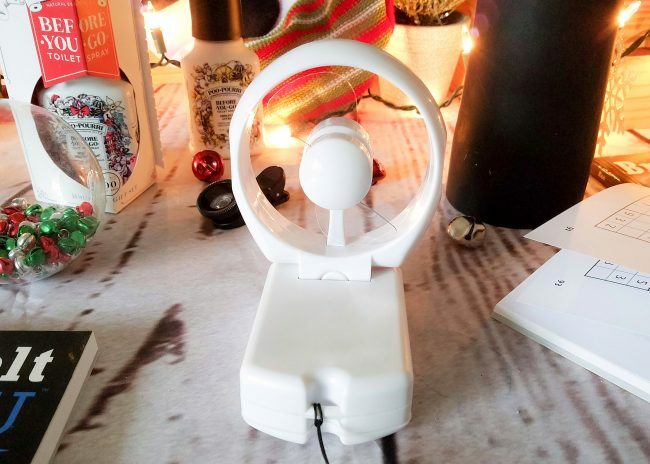 )The Pull-Apart Gift Set included some fun holiday scents including my favorite Merry Spritzmas®, which is a blend of peppermint, vanilla and citrus essential oils. Basically, now my husband can take the Poo~Pourri on vacation (and it even comes in 2oz bottles- YAY TSA friendly!) and then before he has to go he can spritz it in to the bowl. It creates a film that will trap the odors in. This stuff seriously works! We love Poo~Pourri, Before-You-Go® Toilet Spray. Oh yeah, and before you head out to Bed Bath and Beyond to pick some up, be sure to check their website for special coupons on one item in store or online. One of our favorite things to take on vacation (and to the hospital when needed) is a long charging cord for our phones. I found a 10 foot one that is retractable that I will be including in his stocking. My husband does not carry a separate camera when he travels but he is willing to carry a clip on lens. These can be great to add a little zoom to your camera lens on your phone. 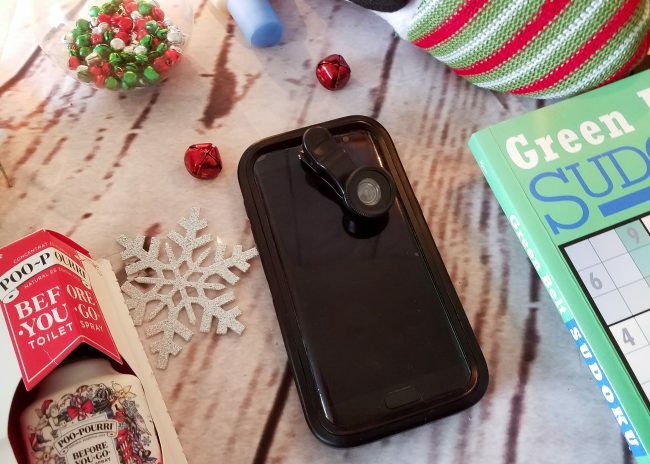 Be sure you get one that works with the phone your guy has because the camera lens can be further down on some phones, so they need a longer clip. A travel lint roller is a perfect stocking stuffor for men who travel often. Especially if they travel for business. They even make them with fun patterns now. My husband gets hot very easily so he loves to take a travel fan wherever he goes. His previous one was just a small one that he could carry around, so I found one that is larger and can be bent so he can put it on the night stand next to him for a little extra air flow. 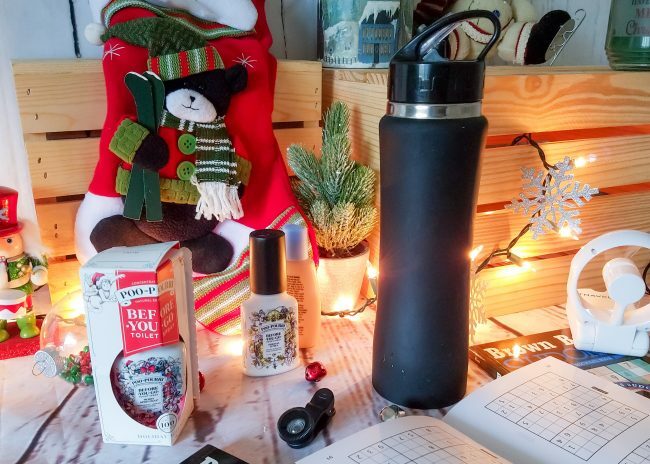 Good water bottles that will keep drinks hot or cold are always great stocking stuffers for men. My husband loves his current one but has been asking for a second one that he can keep at work. So he can use his current one for home and travel. 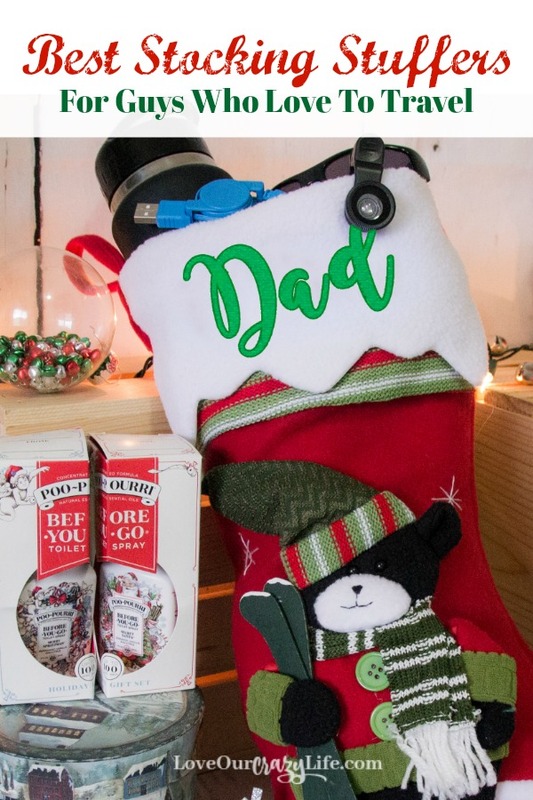 Of course I will have some other items like gum, toothbrushes, and maybe some socks that I include, but those will be just to fill up space in his stocking. 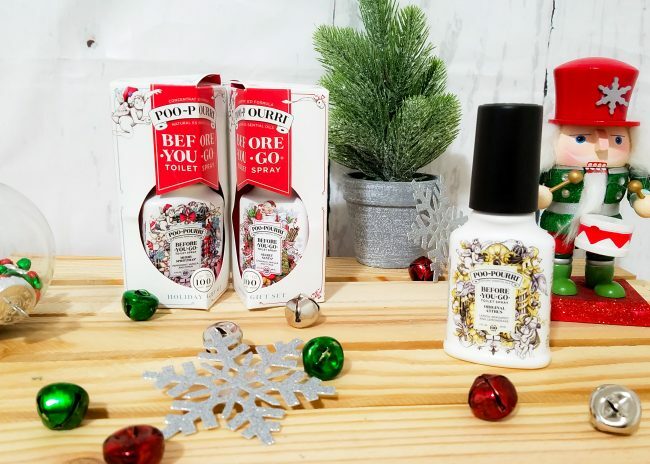 Be sure to head to Bed Bath and Beyond this season for great stocking stuffers like Poo~Pourri and more this holiday season. 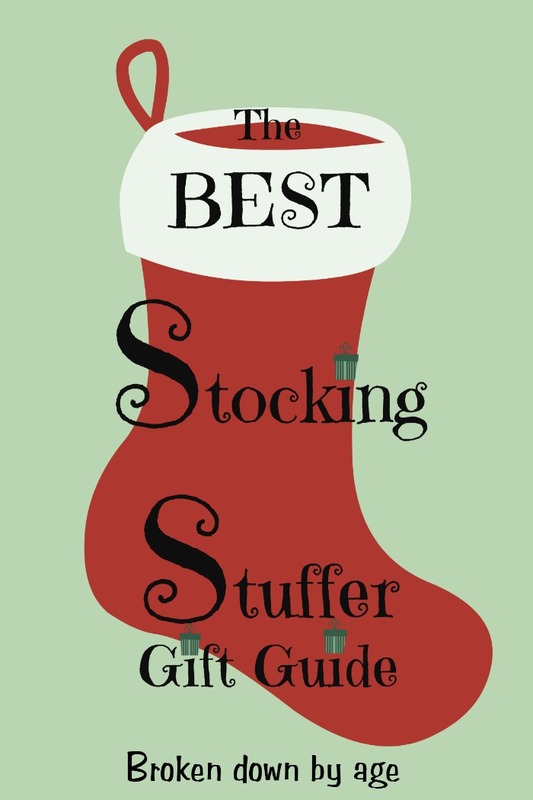 Let me know what stocking stuffers you will be getting your guy in the comments below.